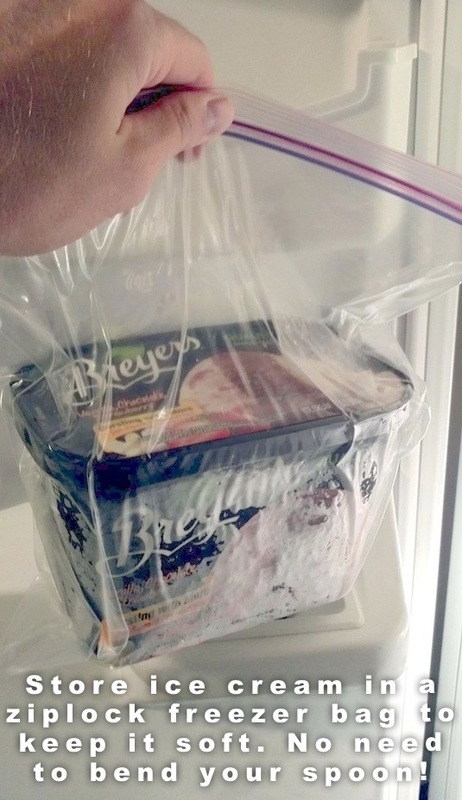 A plastic freezer bag keeps the cold air from making your ice cream rock hard. If you like straight spoons and soft ice cream, this trick is worth the extra step! 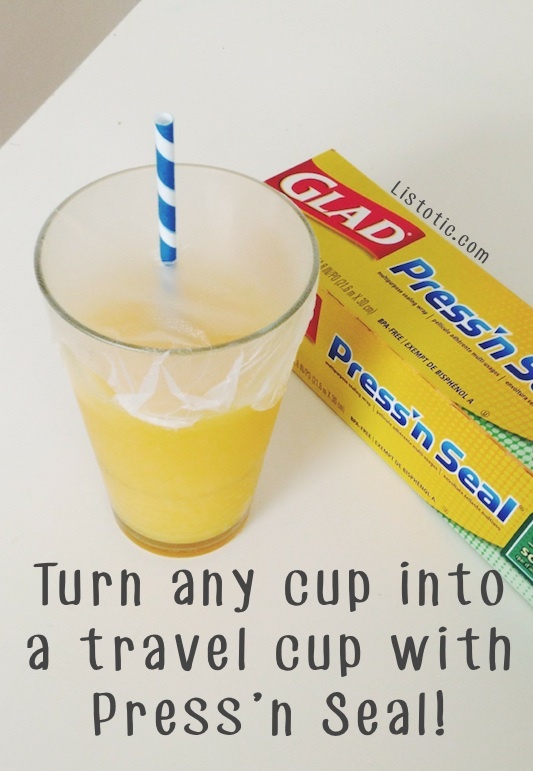 Try to push out as much air out of the bag as you can before putting it in the freezer. 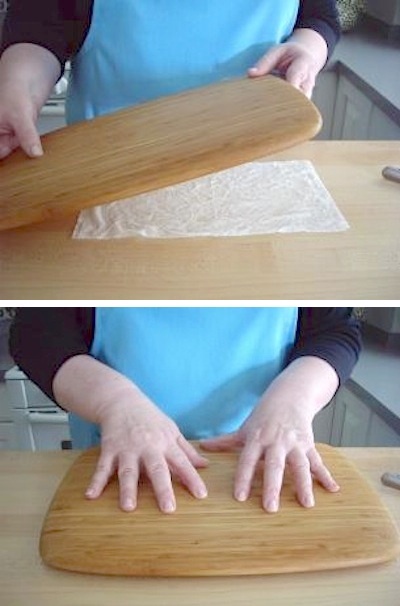 Because sharp knives are not a good combination with a cutting board that slides all over the counter, use a wet paper towel or damp hand towel under your board to keep it in its place.